I have been involved with Scalextric for 30 years as both a collector and trader. This web site used to host the Westwood Models on-line shop but I closed that business in 2007. These days I am back to being just a collector. I still attend most slot car swapmeets in the UK and I run my own annual event in Swindon on the first or second Sunday of the new year. 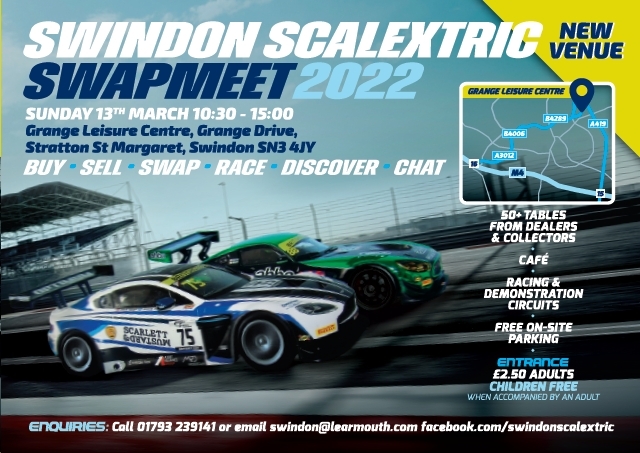 You can find further details of Swindon Scalextric Swapmeet from the flyer on this page (click to open in new window) or go to the Facebook page by hitting the button below. Are you thinking of selling your Scalextric collection?